This is going to be a full paint job on a longbed truck over bodywork, bare metal, and existing paing with an epoxy 2k primer. Maybe solvents in clear do the job regardless of how long base has dried? I would venture to say you may have cleared a little too soon? Read the posts under mine and you'll see that there are different people using activators and no activators depending on the products they are using. I'm in Florida - don't know if I could even find cold weather reducer! Pour the paint into the mixing pail and fill it to the line of the number of ounces you wish to mix. I'm going to go through my old tech sheets and see if I can find anything further about the use of activators with that base. I've used those Omni primers under all kinds of base materials with no problems. Or, is it ok to not to use an activator as I have done with non-mtalic base coats before clear coating? 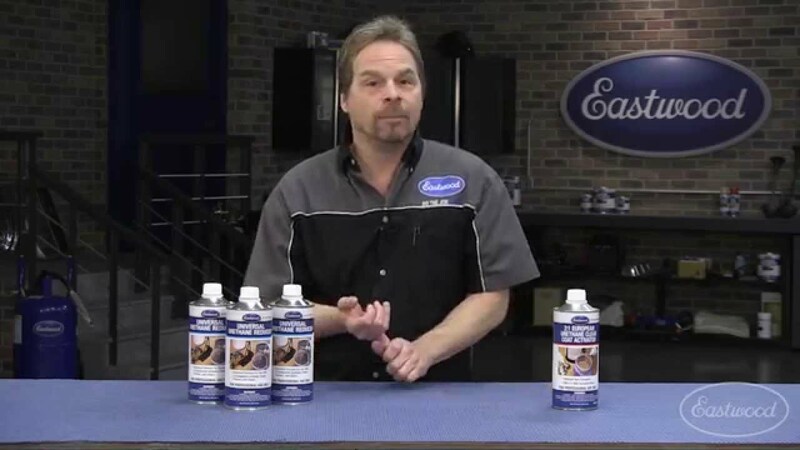 If the base and reducer call for 20 minutes to flash at 70 degrees then allow at least 20 minutes before applying clear and use a clear that is recommended by the base coat manufacturer. Some primers, sealers, colors, have a strict recoat window where you are supposed to apply the next product be it sealer or color or what ever within a certain time frame after sanding. I cant say because i have never personally tried it. In other words it is very likely an application issue. Viscosity: as packaged pot life: indefinite. I'm getting ready to paint a pickup I've taken down to bare frame and I want this to turn out good. I could disagree with almost everything in your post depending on the products being used. Like the Omni epoxy that previously didn't call for an induction time where it now does. 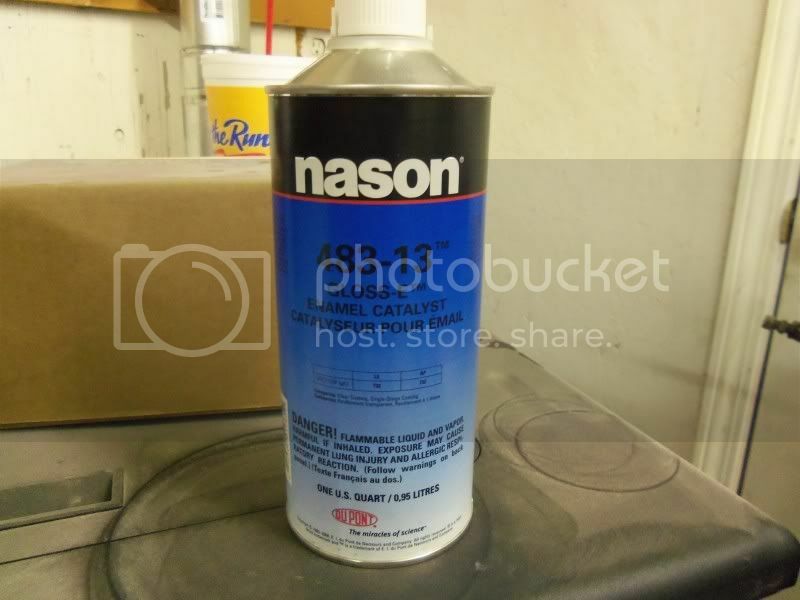 Nasonselectclear483-842k mid temp activatorhigh solids and low voc quart new old unopened stock: some tops of the lids are rusty, but product inside is fine. If you have applied too much clear for instance and your film is soft with it not curing properly because it's too thick and the solvents all trapped, sand the surface and let some solvent out! Important note: this catalog contains only the products that fit the categories listed under Browse Product By: Product Type. You have sprayed clear over it, how could the clear cause this? Also let it flash just a bit longer 5mins before your next coat so you don't run it. How else could he happen? I never used the activator. The metallic paint needs to be able to flash dry a lot faster than the clear would. The clear coat is made to deliver a glossy appearance while offering a quick and easy application for the professional painter. I still have some base left and may buy activator next round. You likely even applied it a little lighter knowing there could be a problem. If one company said to add hardener to their base and another one didn't, that one that didn't would look pretty funky wouldn't it? Since you're saying your base has adhered fine after a couple days drying - I'd say initially the base was still too wet and clear penetrated through to primer causing the issue. I know that with silvers or lighter greys ecspecially, just make sure to give plenty of time to flash before you clear. So when you feathered out that area and put some more primer over it you covered up that edge where the base meets the primer right? That edge is just dying to allow solvents under it. I mixed some of the blue 1-1 with straight reducer and sprayed a piece of masking paper. Sounds like a quality, catalyzed base with good flash off is safest bet from here? What does the activator do? Note: If base coat needed to dry for 12 hours you wouldn't find many body shops using it. Intended use: used to generate base colors on mixing machines or toner banks transparent red ls ochre oxide magenta green non flop blue violet yellow orange lemon indo shade perrindo maroon quindo bright white pearl. . Read the tech sheets for the products you are using. Thank you for looking and happy bidding. I don't know the products you are using at all, but this could have been a factor. It was an off-brand clear Zolatone. Dupont used to only warranty their chromabase system for 5years if no activator was added to the base. I can think of some questions for you. I have been told to add 1 once per Cup of mixed Base coat or One cap full of the Clear coat to be used activator per mixed Cup of Base coat at least by one Paint mfg Tech although the printed instructions said nothing about it at the time. That primer surfacer is a stable substrate and it's only job as it relates to the next coats is to hold the tooth you sand into it. I had planned to use matrix but could no longer source it. Thank you for looking and happy bidding. Also no activator used as it is not required but I think I'll be using going forward. I don't know - that's why I'm here - supply stores are worthless for help. I guess that's why I'm asking for thoughts. . You have to jack your air up to 50-55lbs to get rid of it. It could have been any of those reasons so use products that are meant to be used together and use them properly. I have been told by a number of individuals both in person and on-line that activator is not required for the Nason Ful-Base. Any thoughts on what may have caused the failure? Think about it, if the base is lifting, how could this happen? Please don't respond if you cannot provide some feedback regarding what may have happened. I'm recently getting back into paint and body and am reviewing my products and processes. New old unopened stock: some tops of the lids are rusty, but product inside is fine. . Should I wait longer to shoot clear? 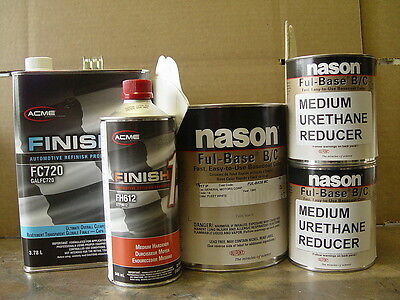 I've been using the Omni epoxy and 282 surfacer for a long time. . So to answer your question though, i spray Nason all the time and you do not need to add the basecoat activator. Did you put the base on thick enough to avoid dry spray? 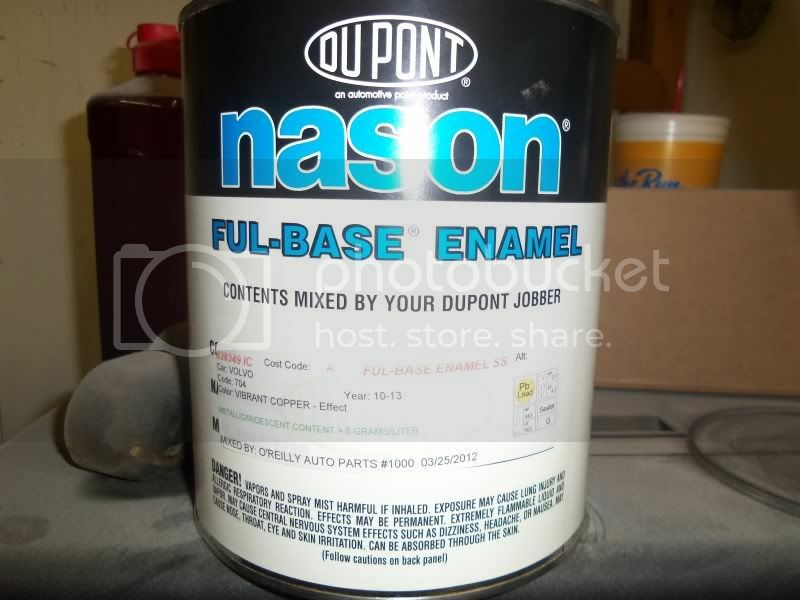 Omni epoxy, then Omni 2K, sand 4-600, days later : Nason Ful Base with no activator then cleared. At anyrate i do not add the activitor to the base. 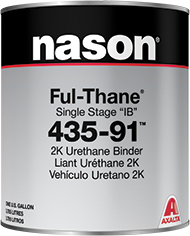 Can Nason 483-78 Mid-Temp activator be used in the Nason Ful-Base tinted to a gold metallic. Any real world suggestions for ratios of reducer to paint? I will say that i do trust there advice so i would say it definetely wouldn't hurt. I just need thoughts on what caused this clear applied too soon allowing it to penetrate through base and cause the issue?. I know the tech sheets change from time to time, probably coinciding with formulation changes.